My motivation comes from my love of the sport. The diversity and inconsistency of Mogul skiing makes me keep going. 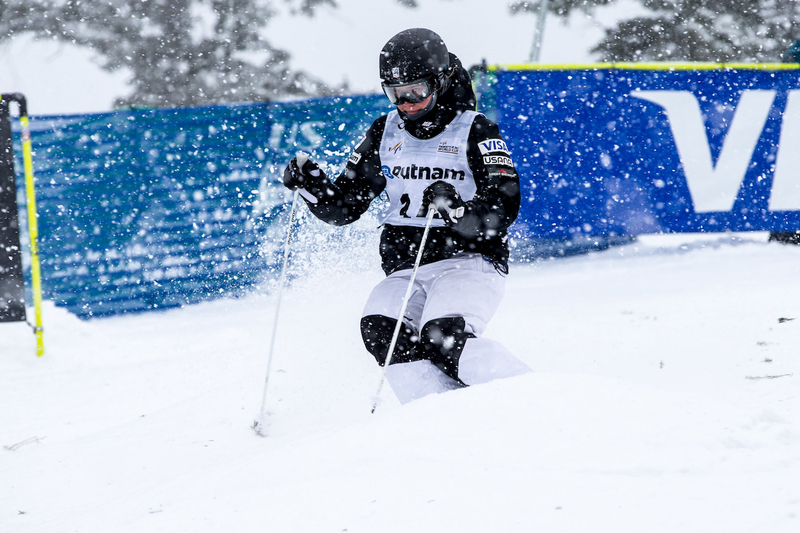 I feel excitement from the different terrain of the courses, the constant effort in perfecting your skills, and understanding each technical turn in the moguls. I also find joy in competing the more difficult and technical tricks of the girls and succeeding in things that are more difficult. “Smile, breathe, have fun.” that’s your philosophy of life. Why and how you keep up with it? At the end of the day if you’re not having fun, its hard to keep going. In the face of frustration I have to believe that the tougher the times, the higher the reward. I love the feeling of pushing myself physically and mentally to achieve perfection. It’s funny, in a sport where there’s no such thing as a perfect score, there’s sure a lot of demand to be perfect. This pressure can eat you away if you’re too serious and not smiling. I find joy in waking up everyday, and as Hannah Kearney said it “your only job is to attempt to get better”. Success isn’t expected, its earned. No matter where you are reading Women Fitness from or who you are, I hope you become the best person you can be. This magazine can help with that and provide amazing inspiration to being healthy. One last thing. You don’t have to be a professional athlete to be healthy. Being healthy will enhance your everyday feel and all you have to do is attempt to be better than the day before.